The White House is no longer including a distinct chapter on climate change in an overarching plan setting federal priorities on ocean policy for a decade. The move by the National Science and Technology Council is angering environmentalists, although administration officials say they are presenting the issue in a different way and emphasizing new areas. At issue is "Science and Technology for America's Oceans: A Decadal Vision," which succeeds a framework first released in 2007 during the administration of George W. Bush. The 10-year plan from the council, an interagency panel led by the Office of Science and Technology Policy, is intended to guide agencies in developing budgets and directing research. Representatives from the National Science Foundation, NOAA and other government agencies worked on the language. "Carrying out the research goals will require investments in and coordination of ocean science and technology across all levels of government and private industry, academia and nongovernmental organizations," the executive summary states. The original 2007 ocean plan had a separate section titled "the ocean's role in climate," with three accompanying research priorities. One of those was "understanding of the ocean to help project future climate changes." "The ocean is getting warmer, more freshwater is being added by melting ice sheets, and more CO2 is being absorbed from the atmosphere," the Bush-era document said. 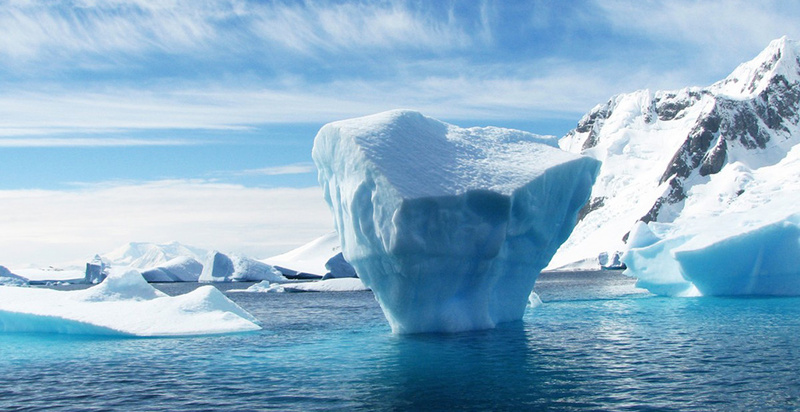 The 2013 update from the Obama administration expanded on the link between oceans and climate change with statements such as "anthropogenic greenhouse gas-induced global warming" contributes to the decline of Arctic sea ice. For Trump critics, the report is the latest signal of intent to slash budgets for climate programs and align with the views of climate skeptics. They point to actions such as an executive order this summer revising U.S. ocean policy that axed Obama language on climate and focused more on economic and security concerns. "Everything we do in the oceans now is affected by climate change. You need to research the impacts of climate change across all of these chapters," said Andrew Rosenberg, director of the Center for Science and Democracy at the Union of Concerned Scientists. As one example, he said discussing expanded seafood production, as the report does, without specific ties to human-driven climate change is "nonsensical," considering the effect of warming on a range of ocean species. A former government official not authorized to speak to the press said the scientific community, including many federal scientists, is feeling "bruised" by the lack of a climate chapter. There have been other instances of the Trump administration removing climate change from guidance documents on federal research (Greenwire, Aug. 2). It's unclear who made the decision to take out a specific chapter and research goal, but administration officials involved in the plan say it is intended to reflect President Trump's priorities and present a more "integrated" approach. Technologies for mapping the ocean floor, for example, are useful for both modeling climate change and assessing energy exploration potential, according to officials. "When you read the report, it's clear that far from being buried, climate change is addressed throughout. As the American people well know, our nation faces many issues. Climate change is one; so is global trade, economic growth, national security, education and jobs," said one White House official. Some outside groups praised the approach. In preliminary comments on the draft, the Consortium for Ocean Leadership said it appreciated recognition of the concept of ocean security and a push for an educated "blue workforce." Industry groups criticized the report for non-climate reasons. The National Ocean Industries Association said in a statement that "while we are most supportive of the discussion of additional offshore wind resources and the potential of hydrates, the oversight of the importance of oil and natural gas presents a woefully inadequate picture of the ocean energy future." Last year, OSTP eliminated multiple positions on climate change and the environment. At the time, officials said that much of the former climate work would continue even if sometimes housed under a different name (Greenwire, Aug. 4, 2017). The report seems to reflect that approach. References to climate in the new plan include a quote from the 2014 National Climate Assessment stating that "the United States has experienced more than 219 weather and climate disasters since 1980" and "a healthy, productive, and resilient ocean is inextricably linked to Earth's climate and weather patterns." In a section on maritime security, it discusses how "ocean acidification and warming" could contribute to less food security. Another section on "economic prosperity" calls for monitoring of rising sea levels. The report also highlights the Southern Ocean Carbon and Climate Observation and Modeling project, which involves hundreds of robotic observation floats that play a role in assessing climate patterns. Administration officials note there is broader discussion of some areas such as "big data," which recognizes the growth in computing power to analyze data from ocean sensors and advances in genetics. Yet many are skeptical, considering past budget requests and directives. Earlier this year, Trump proposed cutting NOAA's budget by about a billion dollars, including programs aiming to help coastal communities and foster research on acidification. After the release last month of the newest National Climate Assessment, which issued dire warnings about warming impacts, Trump told The Washington Post that "as to whether or not it's man-made and whether or not the effects that you're talking about are there, I don't see it." "It looks to me that they politically sanitized this [ocean report] for the White House perspective," said Rosenberg.